For businesses both large and small, we’re in the midst of one of the busiest times of the year.From Halloween to New Year’s Eve, businesses across the country are trying to make the most of the holiday season to connect with prospects, enrich customer relationships and effectively market their products and services as best they can. But many businesses have started to realize that their marketing efforts have fallen on deaf ears. Traditional marketing campaigns like emails, billboards and commercials just aren’t as effective as they once were, especially when it comes to younger generations. This holiday season, try reinvigorating your marketing efforts by boosting your business’s Instagram game. After all, a picture is worth a thousand words! We’ve all seen the blunders of too much photoshop. Don’t be that guy. Most of the time, people can tell if an image is over-edited and may not trust your business if your account posts feature photos with intense color edits or too much artificial lighting. Natural light is definitely the way to go. Not only will you be presenting the image subject in a truthful, appealing light, but you can also use the natural shadows and spotlights to your advantage. Whatever it is you’re shooting, you’ll want to capture your images during the day in a place with direct sunlight (outside or by a window is your best bet). Early mornings will have harsher light — watch your shadows and direct sun rays — and the afternoon will have more even lighting. Deciding when to shoot depends on the type of image you want to create. A good ‘gram post is all about layout and composition. If you want to stop scrollers in their tracks, your image needs to be extremely visually appealing — this means color, subject and composition. The Rule of Thirds is basically this: You want to arrange your subject matter at key points within your image to create a sense of fluidity and movement. Imagine placing a 3x3 grid over your subject matter so your image is divided up into nine equal squares. Where those lines intersect is where you should arrange your subject matter for optimal image balance. You can also line up your subject matter along the full horizontal or vertical grid lines too. This will intentionally put your subject off-center, but that’s the goal here anyway. Instagram provides the option to overlay a variety of grids on your image and edit it accordingly. Once you’re in Instagram looking at your edit options, select “Adjust” and you’ll see a grid icon at the top left of your screen. Cycle through to find the grid layout you want and see how it all lines up! If you want to post an image about a new limited edition product, an exciting holiday deal, your decorated storefront or what have you, your image needs to consist of more than just the subject. Your image is a composition, and it needs to tell a story if you want to get your followers and viewers excited enough to come to your store or website. You need to “set the scene” of your image. Pay attention to what’s in the background, include extra elements that compliment your subject through color and theme and make it look as natural as possible. Your followers will be more likely to buy a product if they see it in a relatable, everyday setting. You want your Instagram post to be clean and organized, but it also needs to be appealing and eye-catching. Take a look at some of your favorite Instagram accounts and see how they organize their images to get some ideas for your business. If you want your posts to reach beyond your account followers, you need to use popular, fun and witty hashtags. Hashtags categorize your posts and allow them to be found under those hashtags in general searches on Instagram. If your profile privacy settings are set to public, your posts are free game to anyone who searches terms you used as hashtags. The trick to including hashtags with your posts, which you should do every time you post, is to be aware of which hashtags are trending on Instagram. Luckily for you, there are some great tools to help you determine which hashtags are hot and prime to use for your posts. Hashtags come and go pretty frequently, so you need to post regularly and consistently if you want your posts to gain any traction. You’ll also want to include a hashtag for your business name or any popular slogans you want to promote in every post to help increase brand awareness and align your brand identity. The more frequently a hashtag is used, the more popular it becomes on Instagram, which will ultimately help to drum up interest for your brand as a result. Instagram provides its users with a host of different filters to apply to image posts. You also have the ability to adjust the image angle, brightness, contrast, saturation...the list goes on and on. While these edits can enhance the appeal of your subject matter when used in moderation, don’t go overboard. Remember, you want your posts to be realistic and relatable for your audience. Don’t let glaringly obvious filters and edits become the focus of the image. 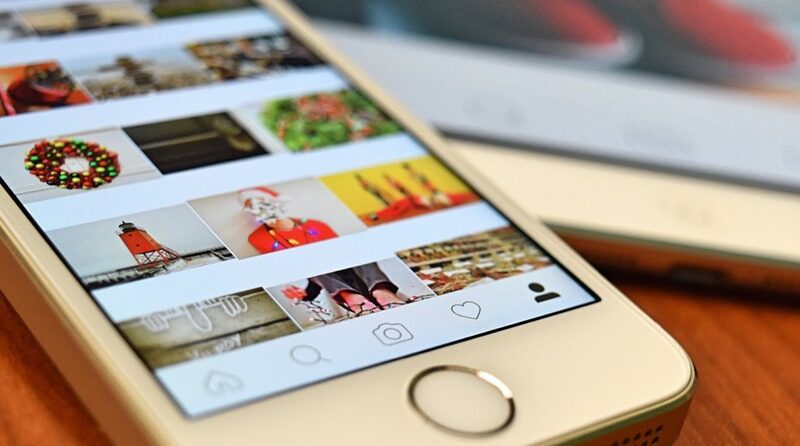 If you’re looking for new ways to boost your marketing efforts and customer engagement this holiday season, look no further than Instagram. This wildly popular social media platform is a great way to connect with your audience while simultaneously expanding your brand reach. Use the tips outlined above to seize all the opportunities Instagram has to offer your business this holiday season! Olivia Broersma is currently the Content Marketing Manager and Sales Development Rep for Cazbah in Victor, NY. When she’s not researching and writing for work, she’s doing it for fun on her couch with an Earl Grey tea in hand.